Like many people, I became acquainted with Spanish rockers Extremoduro by virtue of “La Ley Innata” (The Innate Law), a concept album they released in 2008. It had such an impact on me that I went to any lengths to get my hands on a physical copy of the album, eventually buying a boxed set with their entire discography just to have it. It’s a well-known fact that adversity is an artist’s greatest ally. Just think of Quadrophenia, if you will. Or XTC’s Skylarking. Yet, the emotional dilapidation and moral degradation of this album is something unprecedented. The evilness it evinces, the violence it holds and the utter madness of the characters mirrors what were the darkest days in the life of singer/songwriter Robe Iniesta, who was also the founder and leader of Extremoduro. 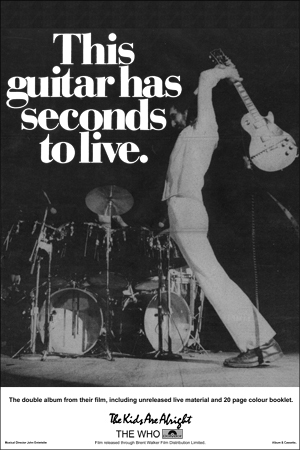 The band had just run out on him, he had been abandoned by his girlfriend, and his heroin addiction was at the end of its tether. And the end result was this: an album that highlighted how in art the pain itself can become the greatest healer. The ability to go from the individual to the collective on cuts like “Islero, Shirlero, Ladrón” (Islero, Knife-wilder, Thief) and “Malos Pensamientos” (Bad Thoughts) melds seamlessly with the band’s penchant for switching times and sections during their songs. They had been doing it since the very start. But it’s on this album, and on 1992’s Deltoya (Outta My Mind) that they once and for all set down the pattern of some of their most recognizable compositions ever. A crucial fact: this is the first album issued by Extremoduro in which guitarist/producer Iñaki “Uoho” Antón is officially listed on the credits. Robe always was the soul of the band. Now, Antón was to become its creative muscle, lending a formal and structural backing to their music, which led to the band’s eventual massiveness. The album also has some notable guests in the shape of the (impeccable) saxophonist Selu, and Fenando Madina (of Spanish band Reincidentes), who is on “Pepe Botika” – a song that was to become one of the most enduring stage numbers from this album. If you buy the current edition of the CD, you’ll get to listen to all of them – they are included as bonus tracks. 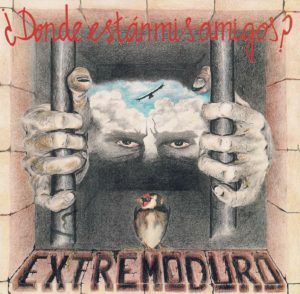 One big question that arises: why “¿Dónde Están Mis Amigos?” was the one album which saw the largest number of re-recordings? I doubt that Robe wasn’t happy with the original album per se. No. That can’t be. Maybe –just maybe– the fact of recording all these songs again in a cleaner context let him exorcise something off his system. I just don’t know. But it’s something I think of permanently when listening to the new takes. Anyway. Just compare the original version of “Bribriblibli” with the new one. You’ll see what I’m on about. “The Innate Law” may as well be the band’s most elaborate outing. 1996’s “Agila” (“Wise up” on castúo, the dialect they speak on Extremadura) is arguably their most popular album (I must say I abhor it). Yet, you won’t find the essence of Extremoduro in a purer state than on “Deltoya” and (most of all) “¿Dónde están Mis Amigos?”. These two albums constitute the true touching stones of their career, and I recommend listing to them in the stronger terms if you are fond of the band, and only know some of their later albums like “Material Defectuoso” (Defective Material) or “Para Todos los Públicos” (Suitable For All Audiences).